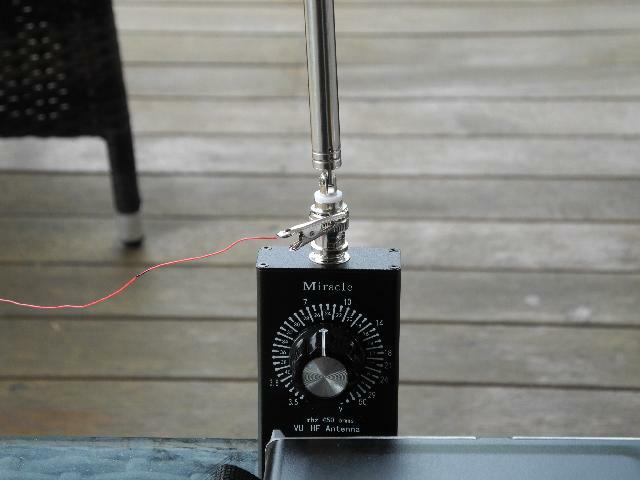 There has been a lot of comment recently on the SOTA Australia list about the effectiveness (or not) of the “miracle whip” antenna and its derivatives. Well I have a Chinese version of this design and have found the tuner component to be very effective when used to tune an End Fed Half Wave antennas against their counterpoises. The EFHW is a larger set-up than simply using the telescopic whip on the tuner. Having read that adding a counterpoise improves what is otherwise a “not so good” performance. I decided to to test out this statement. I was able to add a tab to the BNC plug that holds the whip, by using a solder tab ring that would normally sit behind a round BNC socket. This done I used my antenna analyser to come up with a resonant length of the wire wrapping 30 AWG tin covered copper wire that I use. This length turned out to be 9 metres 87.5 centimetres. This provides a dip both on 40m (1/4 wavelength long) and 20m (1/2 wavelength long). The result on received signals was immediate – an increase in signal strength of 2 S-Points compared to the whip without a counterpoise. As yet I have not managed to make a contact, so the transmit side remains a question mark – maybe tomorrow. 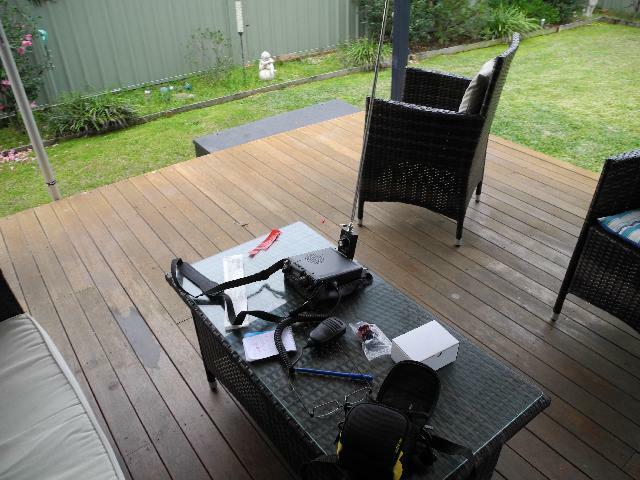 Here are some pictures of the (very simple) set-up on the back deck of my house. Overview of test set-up. FT817 running off internal batteries, Miracle Whip tuner, telescopic antenna and counterpoise going off into the garden. 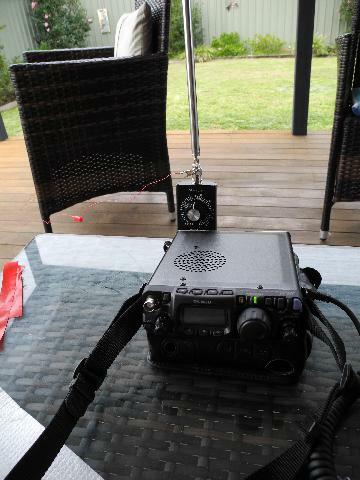 Operating position with ft817 sat on its bag and the Miracle whip connected. Close up of counterpoise connection to the whip.